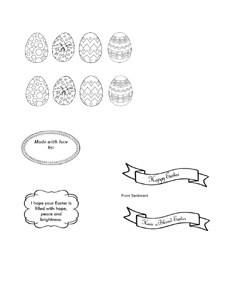 Here is a new Easter Sunday I card made using our Easter Sample Dot-to-Dot on the inside. This cute bunny card is fairly simple and uses every day craft items to create. 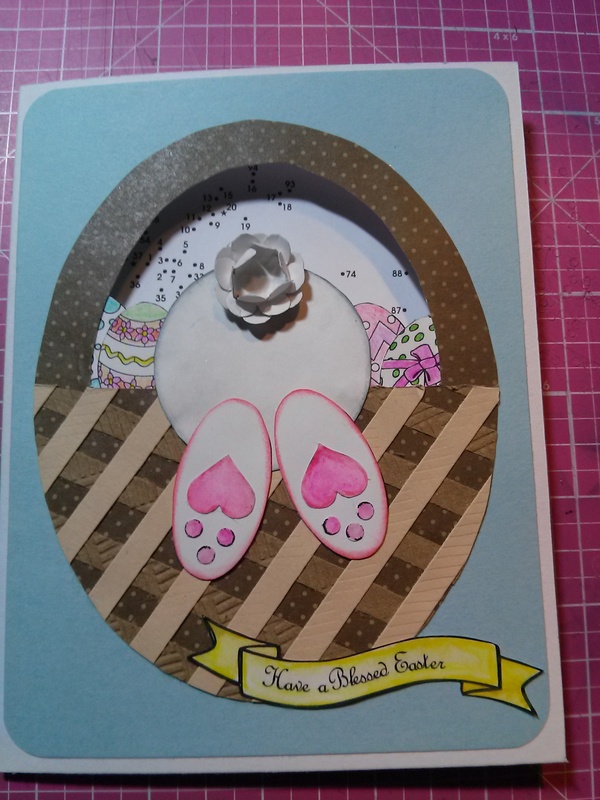 I am grateful to Linda’s Stampin Loft for the card inspiration. You can make your own using the artwork file on the right and free the puzzle. Cut colored cardstock for front of card (top half) 4½” x 6”. Print out the two pdf clip art files from above. Cut out everything as you follow the direction below. Additional tricks I use to get dimension. I use two or three water color pencils in different shades of the same color. I use the darkest color near the lines and the lightest in the middle of the image. I drag a waterbrush from the darkest color to the lightest color, keeping the brush damp, not soaked. I color past the images so when I cut them out they don’t have a white edge. I use Tim Holtz Distress inks on the edge of the cardstock and puzzle. I use the Mcgill Paper Blossom Tool Kit to shape the flower pieces into a tail. I lightly sprayed the paper I embossed with water first. It gives a better impression. 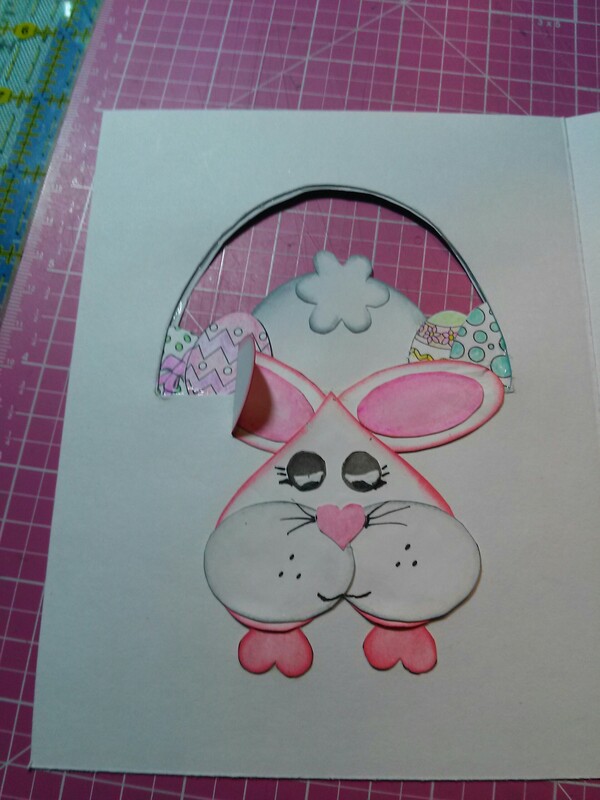 Here is a link if you would rather make last years Easter Sunday Card, or combine the art work to make your own design.